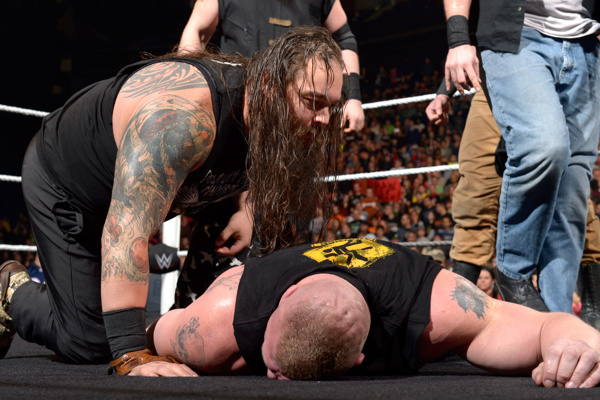 Brock made Bray look STRONG! 38. No Ron? No Bobo? RAW shared a day with Martin Luther King this year, so as you would expect, a lengthy tribute to the great man was paid to open the show. However, am I wrong in thinking that WWE should have paid tribute to a couple of their own industry's trailblazers in Ron Simmons and Bobo Brazil? Simmons, as you are all probably aware, is recognised by the company as the first black World Heavyweight Champion in wrestling history. Ron won the WCW WHC in August of 1992. Bobo Brazil is credited with breaking down barriers of racial segregation in professional wrestling, paving the way for the likes of Ron to make it to the top. Don't get me wrong, it was a lovely tribute. But while WWE showed countless individuals from other realms of entertainment and politics that broke new ground, it seems that they simply overlooked a couple of their own.